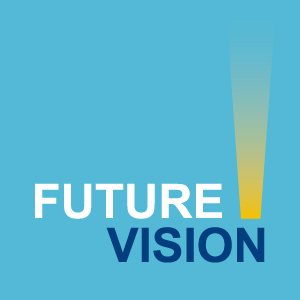 In 2012, the Leadership Centre launched its flagship programme, Future Vision. The overarching aim of Future Vision is to help senior leaders address the leadership challenges they are facing, helping to inspire and create a better future for citizens by enabling systems change through leadership development. There has never been a stronger need for adaptive leadership that crosses boundaries. We live in an increasingly complex, interdisciplinary world. Unprecedented financial pressures on public, private and voluntary sectors have combined with ever-higher expectations of outcomes, making effective leadership of organisations all the more pivotal. Participation in the programme is by invitation only. Previous cohorts have decided to continue meeting together after the end of the scheduled programme of events, to carry on their work in self-generated blocks around themes they set. For a preview of the Future Vision programme, from the Leadership Centre Summer Event 2016, watch the video above. The overall design and delivery of the Future Vision programme is conducted by the Leadership Centre. But a unique feature of the Future Vision programme is that participants are heavily involved in the design, so that although the broad format is the same each year, the precise programme content, the areas covered, and the experts consulted all differ for each group. The first opportunity for participants to meet other cohort members, and the opportunity to shape the year’s programme content around personal leadership goals. Here the programme starts in earnest, immersing participants in the leadership thinking, practices and necessary skills they can use in dealing with their leadership challenges. This event provides the chance to check in on the progress leaders are making and look at further opportunities for learning. A week of discovering cutting-edge analytical techniques and briefings with counterparts from the USA. Has previously included days at Harvard Kennedy Business School, and Massachusetts Institute of Technology. The final event brings participants together to reflect on the year, what they have taken from the programme and how they have progressed on the leadership challenges identified at the beginning of the cohort. For a more thorough overview of the programme and the process participants go through you can download the latest flyer for the programme here. The Leadership Centre offers support to make such longer-term development possible, and to help link together Future Vision cohorts with our wider network of collaborators in the public sector, there is the opportunity to join specific alumni vision events. We’re now looking to expand and energise the vast network of alumni who have taken part in these programmes, with the aim that those who see the need to create real change can work together to bring it about for the benefit of citizens.